When I read the blurb on this book I knew this one was going to be my favorite of the series. 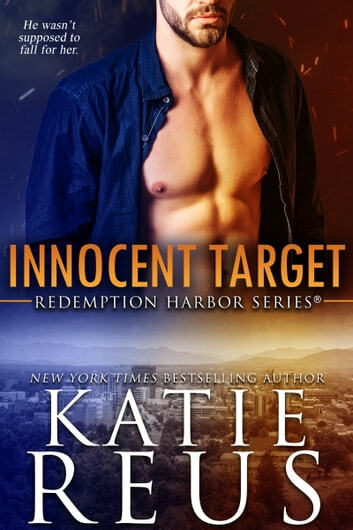 I love the idea of a contract killer falling for a target. Already being a fan of Katie Reus and her Alpha's, I knew she would do this particular story line justice. If you have never read this author before, she doesn't go very dark in her series. While the hero is a contract killer, he is still very much a good guy. He's just lost faith in the system and has taken it into his own hands to bring down the bad guys. Hadley is a fairly new character to the series. We got introduced to her in the previous book when she approached Brooks letting him know she was his half sister. Her mom kept her from her father and Brookes growing up and is just now getting to know them. Hadley isn't from the world that Axel, her brother and all the other characters in this series are from. She's still young and somewhat naive but she gets a fast introduction into their dangerous world when she becomes the target. This is an awesome series and I'm looking forward to the next book. ARC provided by NetGalley. I really enjoyed this book. I picked it up without realizing it was part of a series. Luckily the fact that I hadn't read the prior books didn't keep me from enjoying this one. This book stands completely on it's own. Axel & Hadley are both great strong characters and the story is filled with enough suspense, action and twists to keep you on the edge all the way through. I highly recommend this one and I for one will be going back and reading this series from the beginning. Another great story from Katie. Lots of drama and action , if you call killing action. But it is what it is and still is a good read with the prerequisite love story thrown in. 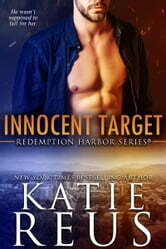 Innocent Target by Katie Reus He thinks she is adorable. Everything from the dimple in her smile, to her sweet innocence and clear want in her eyes. Even the silly pajamas with the dogs all over them is adorable. He will change who he is for her. “He’d been drowning for a long time in his own loneliness and meeting Hadley had been like seeing the light. Because that’s what she was, a light in the darkness.” Not that she’s asking for him to change. A romantic suspense novel. 4th in the Redemption Harbor series. Can be read as a stand alone but don’t miss the others. I’m so looking forward to reading the next book. Fantastic adventures and series. These are not “nice” men, but they are good and they will do anything to protect their family. I received a copy of this book from NetGalley. I have also purchased a copy to gift. Awesome addition to the Redemption Harbor series. This is the story we’ve waited for..Hadley’s HEA. We met Hadley in Dangerous Witness. She is the half-sister Brooks never knew he had. She has moved close to her father and brother in order to get to know them and continue with her attempt to become a vet. Little did she know that this would make her a target for revenge. There are people who don’t like her brother or her father and she is just an innocent pawn, waiting to be used by them. Axel is not a nice guy. Well, he is but he doesn’t see himself as anyones hero. He definitely doesn’t think he can be that for Hadley but something about her just grabs him. He becomes her protector, then her friend and eventually her hero. Love the gang from Redemption Harbor. If you haven’t read the earlier stories, you can read this as a stand alone but why would you? Katie Reus has another winning series.